A versatile instrument suitable for a range of musical applications, the Grand Auditorium 714ce boasts a rich and dynamic voice. 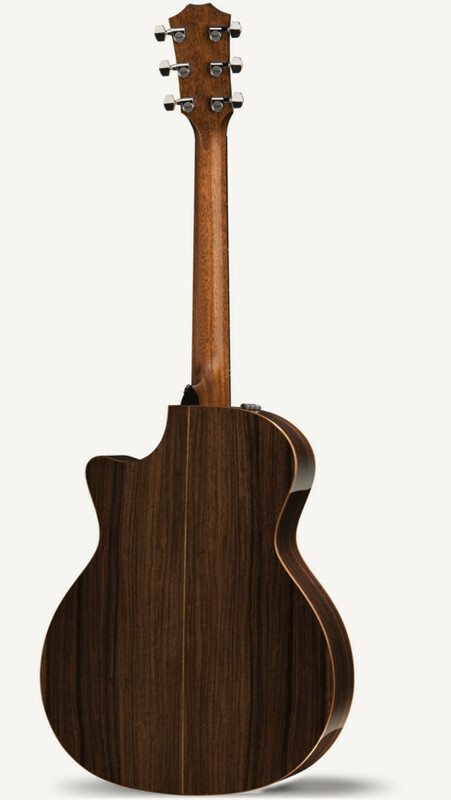 The Lutz spruce top responds with the sonic power and headroom of old-growth Adirondack spruce, with an extra splash of warmth across the tonal spectrum. 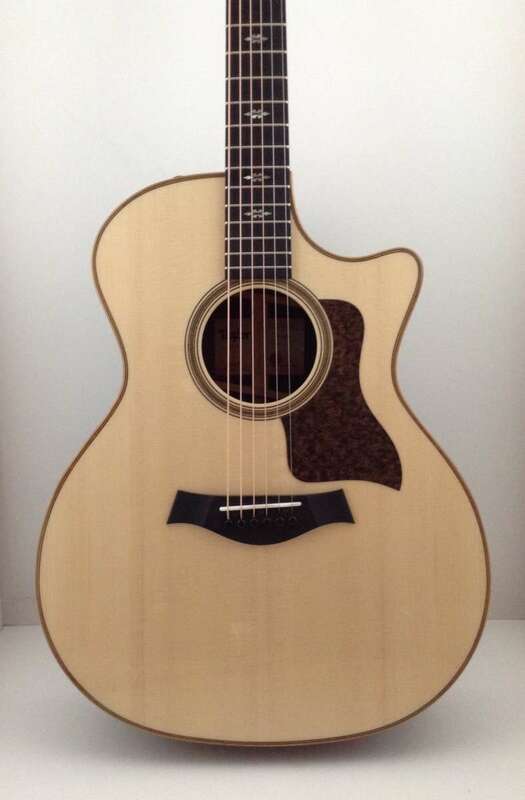 Together with Taylor’s patented V-Class bracing scheme and solid Indian rosewood back and sides, this guitar resonates with spectacular power, clarity and sustain. One of the most inspiring attributes of the bracing architecture is the noticeably enhanced in-tuneness of the notes, with more harmonic agreement among chords and extra girth in upper-register notes. The result is a balanced, textured sound that’s rich in tonal nuance with enough dynamic range to support hard hitters and soft pickers alike. Aesthetically, the 714ce sports an aesthetic that balances rootsy and refined elements, featuring wood-rich details like koa binding, a herringbone-style Douglas fir/maple rosette, and bias-cut Douglas fir top trim, along with abalone Reflections fretboard and peghead inlays and a “weathered brown” pickguard. Comes with ES2 electronics in a deluxe hardshell case.